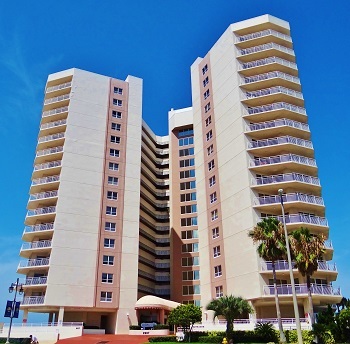 Oceans Six Condominiums are an affordable option in Daytona Beach Shores and conveniently located near food stores, banks, pharmacies and many excellent restaurants. Units are paired with large open balconies with unbelievable ocean and river views. With the onsite maintenance team, this newer building is in impeccable condition. Buy your piece of paradise on the Worlds Most Famous Beach in Daytona Beach Shores, "Life is better here!" Contact Team Gagliardi today! More Details And Professional Photos Coming Soon! This 21 story 120 unit complex allows 2 pets up to a combined weight of 20 lbs. The association allows a 6 month minimum rental to accommodate a longer term tenant. Utilize the clubroom to entertain guests or host a party. With 2 kitchens available and up to 75 occupants allowed, this beautiful club room is great for a birthday party or reunion.